Looking for private in-home or in-studio Classical Voice lessons? Our Acton teachers are ready to get you started. Find your teacher today! I begin each voice lesson with a warm-up to prepare the student for their session. Next, we do a series of exercises specially designed to help each individual develop their skill in a way that best fits them. We then work on a piece of their choice for the remainder of the lesson, perfecting their technique and helping them become performance ready. I teach with patience and fun because I feel that this is the key to achieving goals and inspiring a good habit of practice. Discover your true Vocal Potential. Improve your breathing, tone and resonance. Build power, range and confidence. Enrich your repertoire. Learn easy classical songs and arias you love. Prepare for gigs, shows, auditions and competitions. Be the Star you are. We will work on proper breath technique, vocal conditioning, vocal placement, identifying and expanding your range, note sustain and power. Work on songs that will showcase your voice as well as ones that will challenge you to grow. Work on proper pronunciation of foreign language text. Classical singing can be difficult, if you don't have the right tools. You will learn how to sing open and free, in a safe environment. We will work on vocal production, and ensure there is no tension or damaging muscular issues that can cause injury. Having graduated from UCLA in Music, I have performed in several operas and have sung with professional choirs. I believe that singing should be easy and be used in a means to express your emotions and to share your story. I have experienced classical voice teacher more than 10 years. I have Bachelor's degree in voice. I attended Peabody Institute in voice for Master's degree. Hi my name is Jiyoung. I have given private piano lessons and classical voice lessons more than 10 years. I attended Peabody Institute for Master's degree. Great teacher! Very patient and knowledgeable. I'll definitely keep taking her lessons. Classical vocal technique with a contemporary application. A solid classical vocal foundation crosses over into any style of music you wish to sing. I am a classically trained opera singer (UCLA: BA Vocal Performance, Graduate Studies: École Normale de Musique de Paris) who performs in both classical (opera and choral) and non-classical musical settings (musical theater, jazz, and pop). Hello! My name is Taj, and I am a classically trained singer and voice teacher based in Los Angeles. I received my BA in Vocal Performance from UCLA in 2014 while studying under internationally renowned opera star, Vladimir Chernov. I continued my graduate studies at École Normale de Musique de Paris under Maestro Chernov's wife and personal voice teacher, Olga Toporkova. I believe in establishing a solid technical foundation based in classical singing technique. The technique I teach comes from the Russian school of Bel Canto (beautiful singing in Italian). By gaining control of your voice through breath control and precise vocal placement, anything is possible! A solid technical foundation will assure the longevity of your voice and its application crosses over into any genre of music you sing. wide variety of contexts ranging from opera, choral, musical theater, jazz, and R&B/pop. I have over 15 years of experience performing, and over 5 years of experience teaching voice. My diverse array of artistic experiences allows me to be flexible and sensitive to the specific needs of my students. Singing is ultimately a form of artistic expression and release. The end goal of all the technical training is to create an artistic moment for both you and the audience. When you begin the journey of discovering your own unique voice, you will also begin a deeper journey with yourself. Singing has brought me so much joy in my own life and I look forward to sharing that joy with you! Taj is great! My daughter loved her lesson. Learned a lot in my first class. Taj is an amazing teacher and you can tell he really loves it too! I am a musician and have been singing professionally for years, and in just one lesson Taj taught me practices and techniques that allowed my voice to feel effortless and powerful in a way it never has before. His lessons will strengthen your voice no matter what style you want to sing...jazz, rock, opera, pop. He makes it very fun as well- I look forward to our lessons all week! I have been involved in vocal music including Classical / Opera / Broadway and Jazz for over 50 years. This includes training vocalist for over 45 years as a choir director (children to adults). During my time as a choir director I have also spent many hours privately coaching and training students privately. I hold a BA degree in Vocal Performance. My personal philosophy is that good basic technique is the same no matter what style you perform. I hold a BA in Vocal Music/Performance. My teaching career has includes teaching and coaching singers for over 45 years. During these years I have successfully trained adults, youths and children for choirs and as soloists in all styles. My performance career includes choir soloist, opera lead rolls. I have also held positions as church choir director (25 years), opera chorus master (15 years) and conductor and coach for high school (17 years) and children's choir (6 years). and can tutor you in this or Music Appreciation. I am classically trained but I had 3 lessons with Frank for a musical audition. He taught me how to sing in a brand new style. Thanks to him, I am now cast as Nina in a production of In the Heights. A very well rounded teacher. Works well with every type of voice. Cares about his clients. If your are looking to be the Best. Be trained by the BEST TEACHER! Frank Thomas has been my best vocal trainer for years. I couldn’t be the singer I am with out frank. I wouldn’t be in operas, solos and many musicals journeys with out his ways of training me. DON’T look anywhere else. This is the best and also he is fun!!! I remember when I first started with him. In 3 days. Yes 3 days with me working on my voice with him I heard a big dramatic operatic voice come out of me!!!! I’m telling you look no further. Trust me. I have been trained in classical technique, yet I have both classical and pop repertoires. The essentials of a strong technique are vital. Having previously worked in entertainment, I understand can guide with auditions in singing if necessary. I am optimistic, calm and strive to achieve my students reaching their fullest potential. My knowledge of musical theory is excellent and I have a Bachelor's degree in Music. of fun to work with. She would act to the music to show me the difference in singing a Broadway musical versus singing a classical Italian song. She teaches me how to pronounce English, Italian and Latin correctly. I really enjoy taking voice lesson from her. Los Angeles, CA teacher: Amber C.
"I highly recommend Sarabeth to anyone interested in singing, whether you have already had some background in voice or you are just starting out. eth is a truly amazing voice teacher!!! She led me step by step through many vocal exercises and taught me many a great classical song! Her patience and encouragement were ever present at each lesson as I stumbled through the classical songs which were written in other languages. I am deeply saddened that Sarabeth is moving away to Los Angeles and will no longer be able to be my singing teacher, but wishing her the best of luck there!!! I will always remember her as the incredibly wonderful teacher she is!" Los Angeles, CA teacher: Sarabeth B.
hows great care and patience when instructing my daughter. In the lessons that they've done together my daughter has made noticeable and significant improvements both to her voice and her confidence. 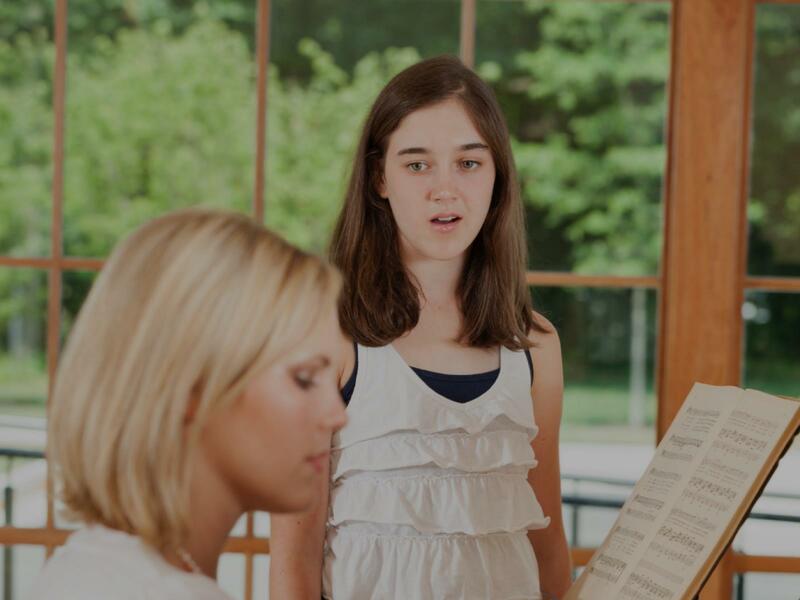 I would recommend Sarabeth as a instructor for a voice student of any age." "Got Fawn's Christmas album Noel, and that is how we found her! Incredible vocal coach and life coach! Can't recommend enough! Thanks Fawn"
"Julia is a wonderful performer and instructor!" y descriptive and very talented in expressing concepts to help you visualize the body in ways that allow you to use it efficiently while singing. She is very kind and energetic, yet assertive and competent in her direction. I’m going to keep learning with her. Awesome teacher." Los Angeles, CA teacher: Daniela S.
"My daughter is loving her lessons and learning how to sing with breath. Laurel is great with her!" enjoyed taking lessons from her because she was flexable with my type of music." properly work on extending my range on my own time. She also helped me identify some problems with my breathing that I wasn't even aware of. Not only does she know a lot about classical voice technique, but she knows how to apply those principles to the male voice.